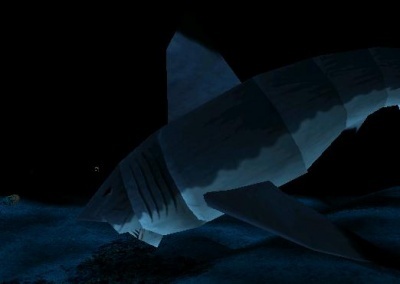 I'm at the deep deep ocean in Tomb Raider 2, and I'm scared to swim because of that freaking square shark! Ouch, you sure have a charm for bad luck =/ But yes, the luck makes up for it..although I'm not sure if gettings hugs from random people is a good definition of 'luck'..
As for my voice, I don't entirely like how Vent makes it sound like. I mean of course I'm Dutch and a male so its naturally low, but my real life voice isn't as..gloomy as my Vent voice is. Turns off voice changing device Nothing, nothing..
Yeah, I can ask those scary people if they please could wait till you arrive and if they might want some tea while waiting. Those random people are mostly the persons who are causing my bad luck. Sample: Me walking very happy on the street ''Lala ^-^''. Other person is in a hurry and watching at the ground. I'm watching to the right because I see something interresting. *BAM*random person: ''Oh I'm so sorry! Sorry!'' *helps me up* ''Are you alright?'' *gives me a hug* I say yes, sorry didn't see you either. And we both walk away. Impact (20) @...since it's #20, will you allow me to use you real name? This once? Please? While you take your time with thinking of a question, I'll give you one instead. Any sports that hold your interest? Aside from soccer, which I don't think falls under that category *Drops interest soccer* Can't be helped. What a lame sport! I hate it! I think I just made a huge sacrifise..
And yes I indeed read this in the morning, you have great predicting skills. There's even sunshine too! From the skies and from a certain someone I met on here. Now that's what I call something to wake up with! Trivia: This forum..this thread..they became the first place I check when I sign on. Now that is something. I'm mad about League of Legends losses. Well theres a solution against league of legend losses! Just start hating the game and don't play it I tried it and it works! what is this sleep thing you speak of? Ah the weather is so nice I just want to go the beach. I am sick of studying for these exams and can't wait till it's all over. Was dragged to the bank becasue dad tried to remove my money but couldn't because I am eighteen now. (chyeah adult XD) so spent an hour at the bank waiting to be served. waste of life. But now have enormous sum of cash for my trip to Fiji.